2. HONOLULU, HAWAII—A totem pole stolen by actor John Barrymore in 1931 that later ended up as a yard decoration for actor Vincent Price was returned to Alaska tribal members on Thursday. The Associated Press reports that the stolen pole was one of more than 100 that once stood in the old village of Tuxecan on Prince of Wales Island, Alaska, which was inhabited by the Tlingit people.Barrymore — grandfather of actress Drew Barrymore — took the approximately 40-foot-tall totem pole from an unoccupied village during a yacht trip along the Alaska coast in 1931. The totem pole has carved images of a killer whale, a raven, an eagle and a wolf, and the crew sawed it in three pieces. Barrymore later displayed it in his garden. 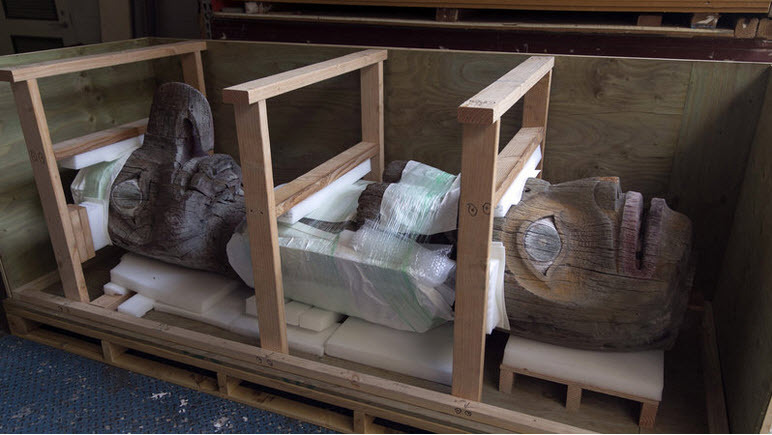 Officials at the museum didn't know the totem pole was stolen, and after the top section was briefly displayed, the pole was moved to the museum's climate-controlled basement. While standing in front of his tribe's totem pole, Jonathan Rowan speaks about its significance at the Honolulu Museum of Art on Thursday. The totem pole was carved by the ancestors of the Tlingit tribe. Rowan is a tribe member from Klawock, Alaska. 3. PARIS, FRANCE—PARIS (AP) — A nearly 3,000-year-old carving stolen more than four decades ago from a remote area of southern Mexico has been recovered in France. 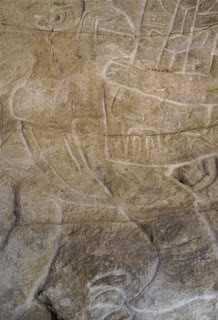 The Olmec carving dating to around 900 B.C. had been chipped off the rock face sometime between the arrival of an archaeological team in 1968 and 1972, when the team returned to the area. It resurfaced recently in France under unclear circumstances.John Clark, a professor of archaeology at Brigham Young University who learned about the find Thursday, said the carved sculpture showed the extent of the Olmec's reach in an area of Chiapas better known for ties to the Maya. In the decades since the theft, he said, scholars have made due with a replica created by examining archive photos of the piece. The Olmec are best known for their enormous carved heads and are considered one of the founding cultures of Mesoamerica. 4. NEW YORK AAMD Issues Safe Haven Protocols for Art from Countries in Crisis October 29, 2015.The Association of Art Museum Directors’ (AAMD) newly issued Protocols For Safe Havens For Works Of Cultural Significance From Countries In Crisis urge international museum actions to protect artistic heritage at risk of loss and destruction. The AAMD protocols stress security, preservation in museum safe havens, international access, and returning objects only when it is safe to do so. The protocols thereby run counter to current US government policies, which prioritize repatriation, even to hostile regimes in countries currently in a state of war. 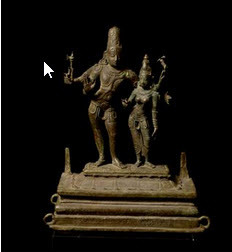 collections in countries where crises threaten the security of cultural heritage, but in situations where in situ assistance is not practical, AAMD museums and other cultural institutions outside the areas of crisis can offer safe havens to works in danger until they can be safely returned. The AAMD notes that objects might require specialized treatment or care that is unavailable nearby. Therefore museums in North America and around the world should offer to preserve and protect threatened cultural property. The AAMD notes that providing a safe haven removes threatened works from the marketplace (legal or illegal), preserves their physical integrity, and enables essential documentation to record these works for posterity. The AAMD statement identifies the following as possible depositors of artworks for safe haven: museums and governmental entities inside countries in crisis, US government authorities who have seized works on entry to the US, and private individuals, companies, or organizations who have come into possession of artworks. 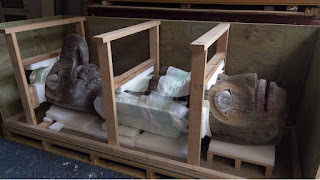 The protocols call for action to inventory and document the condition of works prior to movement, if possible; safe transportation, preferably paid by the depositor; storage comparable to that which an AAMD museum applies to works in its own collection, and conservation for works in need of immediate stabilization. Works should be inventoried, digitally documented, and treated as loaned works typically would be. Museums should publish the documentation on their own websites, on the AAMD Object Registry, and appropriate international websites.Museums should grant scholarly access to the works as they would for objects in their own collections. With the consent of depositors, museums may exhibit works stored for safe haven and all information about them should be made available to the public, along with educational information on preserving heritage. 5. 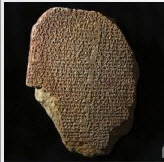 WASHINGTON DC Ancient Tablets Seized from Hobby Lobby October 28, 2015. The Daily Beast has identified the Hobby Lobby corporation as the destination for a shipment of cuneiform tablets seized by US Customs in 2011. The Green family are owners of the corporation Hobby Lobby and known as some of the most prolific collectors of ancient artifacts in the US today. The Greens are presently constructing a private museum in Washington, D.C., the Museum of the Bible, to house their collection of approximately 40,000 artifacts. Hobby Lobby is also well-known as the prevailing party in the US Supreme Court decision, Burwell v. Hobby Lobby, which granted the company an exemption from the Affordable Healthcare Act mandate to provide certain forms of contraception to its employees.